The past meets the present in ABC’s new drama. Deadline reports the network has given a series order to the time-travel series Time After Time for the 2016-17 season. From Kevin Williamson, the drama is based on the novel by Karl Alexander, which was made into the 1979 movie starring Malcolm McDowell. Time After Time stars Freddie Stroma as H.G. 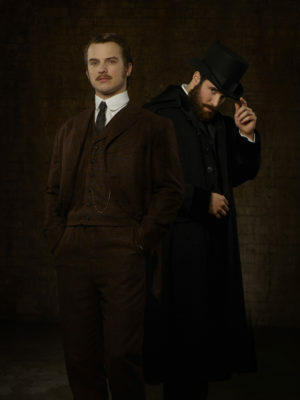 Wells, who travels to modern-day New York while trying to catch Jack the Ripper (Josh Bowman). There, Wells explores the new world and meets a woman who captures his attention. Genesis Rodriguez and Regina Taylor also star. What do you think? Have you read the book or seen the movie Time After Time? Will you watch the series? Sounds interestng – I liked the movie – but I’d really rather just have Forever back…..